Bankia’s shareholders have received a nasty new year’s surprise. They may lose most of their investments or even all of them says the Spanish bank rescue fund in its latest report. Valuation is key in the recapitalisation of Spain’s banking system, weighed down by massive bad loans accumulated in a property bubble that burst in 2008. 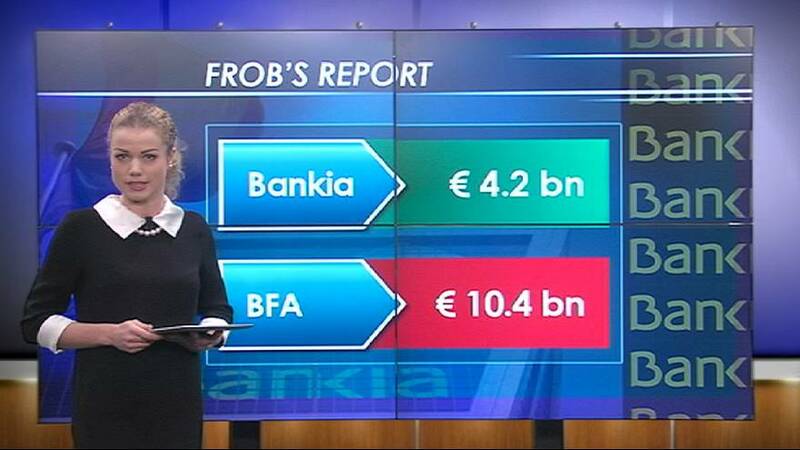 Bankia/BFA is set to receive 18 bn euros of European aid, and become the country’s biggest bailout recipient. In order to receive the money, Bankia has already announced plans to cut 6,000 jobs by laying-off about 28 percent of its staff over the next three years. Other conditions include transferring toxic real estate assets into a so-called ‘bad’ bank. The idea is to free up Spain’s banks to lend again, breathing new life into the recession-hit economy. But after the FROB’s report Bankia’s shares fell 12.5% at the opening of the stockmarket on Thursday and ended the day down 19.53%. The Spanish stock market regulator initially even had to flag the shares “under auction” – the measure applied when there is a particularly large order to buy or sell a stock. The share will also be dropped from the IBEX 35 top companies index from January 2.